This post is for just one little old polish, but trust me, it deserves its very own post. Sorceress of the Sea is a Facebook group custom that Lindsay created just for members of the Night Owl lacquer fan group, and man, is it beautiful! 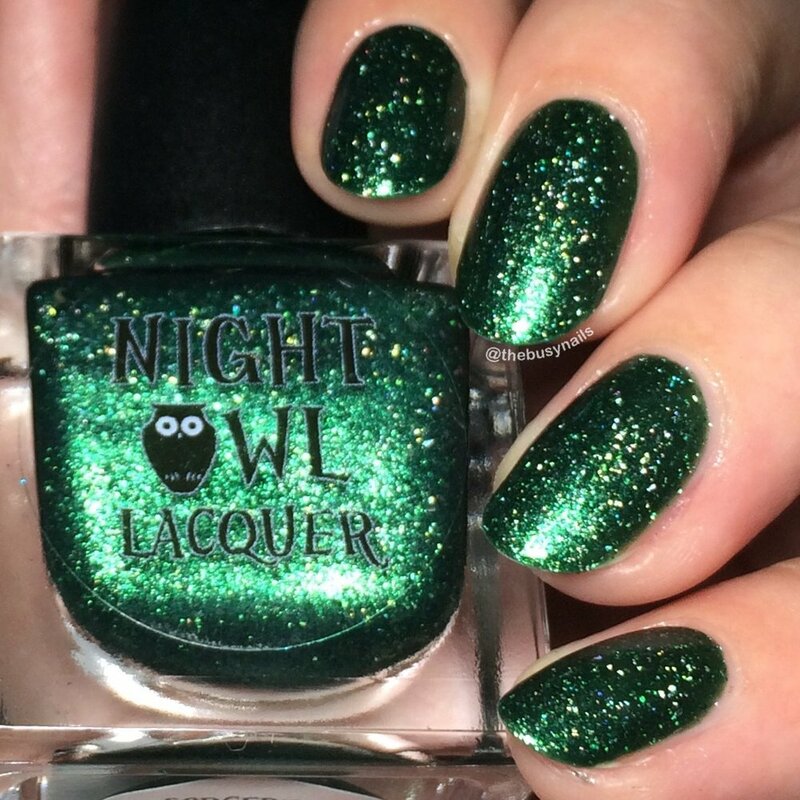 This releases Friday, November 10th at 8 PM MDT in the Night Owl Lacquer shop, along with the Fall Feels collection. Maker Description: a blackened teal base with green to teal blue shift, silver sparks and lots of holographic micro flakies. WOW. This is one very pretty, very sparkly polish! And the formula? Absolutely perfect. It's extremely smooth, opaque and I did ZERO cleanup for these photos. It dried completely smooth too, even with all that sparkle packed in. It's a little shiftier in person, but you can still see the teal/blue shift in my angled photos. Really, really beautiful. I love this in general for any time of year, but I'm already planning to wear it again for some Christmas nail art. So, now that you've seen it, head on over to join the Facebook group and grab your bottle from the shop tomorrow at 8pm MDT.